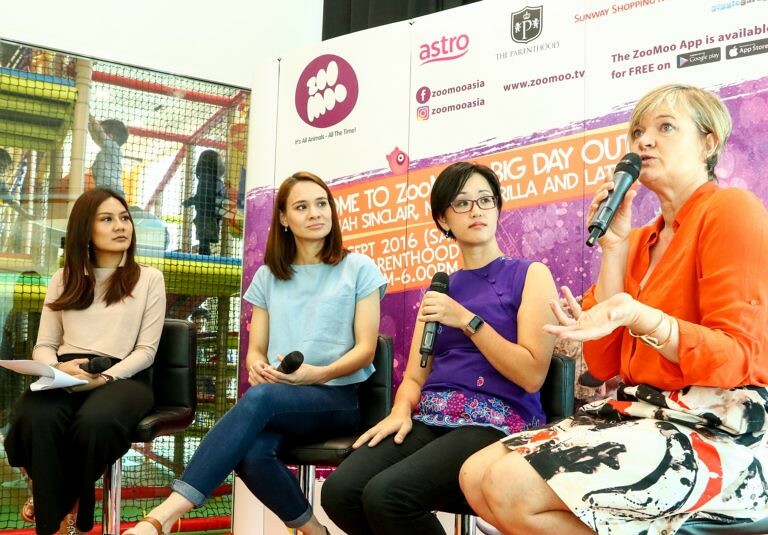 Osmo – transforming the way children play. Osmo is a unique gaming accessory for the iPad that comes with games. 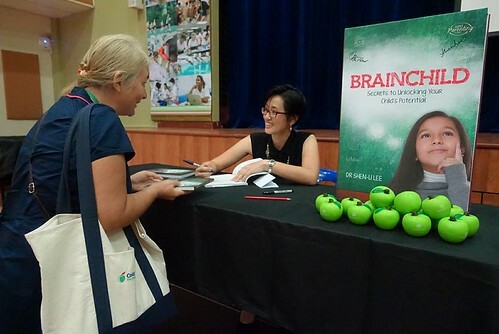 This children’s technology system changes the way children play by bringing the physical and digital worlds together. The system consists of a unique reflector, game pieces and mobile apps that incorporate an iPad into the game in a whole new way. 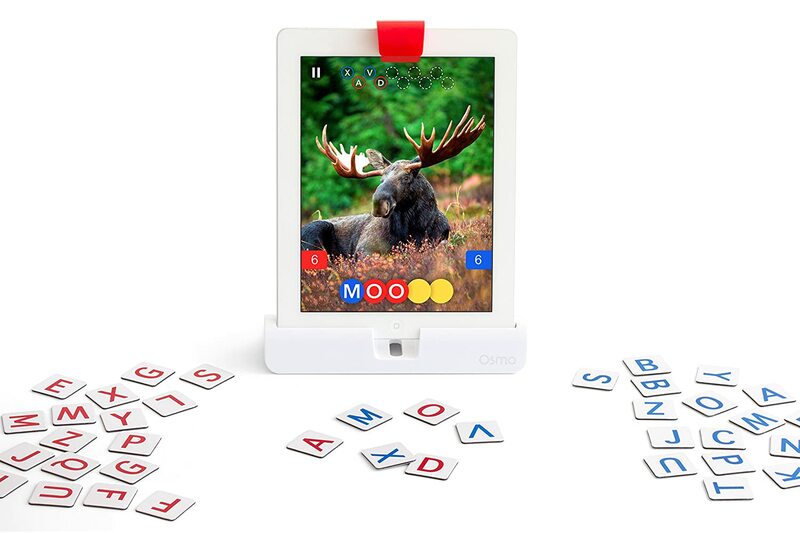 Osmo expands gameplay beyond the screen, transforming the space in front of the tablet into an interactive environment that turns any object into a digitally connected game piece. Osmo was created by young parents out of Stanford and Google looking for a way to bring back physical play to digitally savvy kids. USA Today and Yahoo! Tech have both raved about Osmo’s ability to make parents and kids alike thrilled and Wired called it an ‘Ingenious New Toy’. Time Magazine named Osmo one of the top inventions of 2014. In the box you will find everything you need to play Masterpiece, Newton, Words, and Tangram: Osmo kit, wooden tangram shapes, and words tiles. Games are available free on AppStore. We had a lot of fun with this game, especially the competitive version. You can have two teams playing against each other, working collaboratively to come up with the answers – think hangman but with a picture clue. Arrange the physical tangram puzzle pieces to match the on-screen shapes. You can select the difficulty level from easy to hard. Use clues and prompts if you’re stuck and need help. Osmo tangram is suitable for children from 4 years and up. Tangrams are a great way to encourage children to practice their spatial reasoning skills. Osmo tangram encourages children to work through the puzzles to unlock doorways, uncover the hidden map, and collect prizes. This game is a little like the Crayon Physics game with a real world element. You can get creative and inventive with objects like a hand-drawn basket, grandma’s glasses, dad’s keys, or anything around you to guide falling on-screen balls into targeted zones. G2 has even used a fidget spinner to redirect the balls. For the background, you can use your own white board, blank paper, or the Osmo Creative Board that comes with the Monster Creative Set. A little like tracing without the tracing paper, Masterpiece will help you supercharge your drawing skills. Select any picture from the camera, curated gallery, or integrated web search and Masterpiece will help you draw it. By transforming the image into easy-to-follow lines, all you have to do is copy the lines on the screen. Masterpiece will also record a time-lapse video of your creation that you can share with your friends and family. Masterpiece is a little weird to use because there is a slight disconnect between your brain and your hand. You need to translate the lines on the screen to the movements of your hand on the paper. It’s actually trickier than it sounds. G1 has adapted to it pretty well though – much better than me, anyway. He has been using Masterpiece to help him draw all his favourite characters from Pokemon. 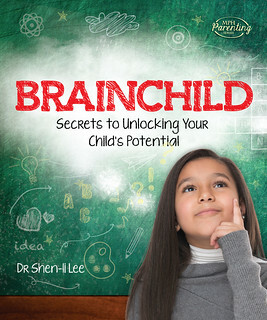 Recommended for children age 5 to 12, Numbers starts from the basics of teaching number recognition and counting. 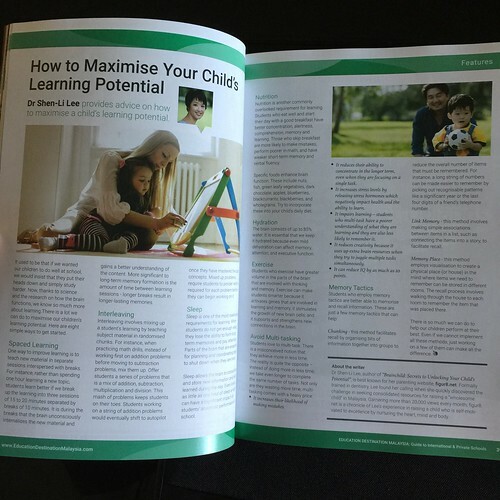 Older children can build math confidence as they practice their math facts and learn how to manipulate numbers quickly in their heads. Best of all, it’s fun and you won’t hear them complaining about how tiresome and tedious math is. 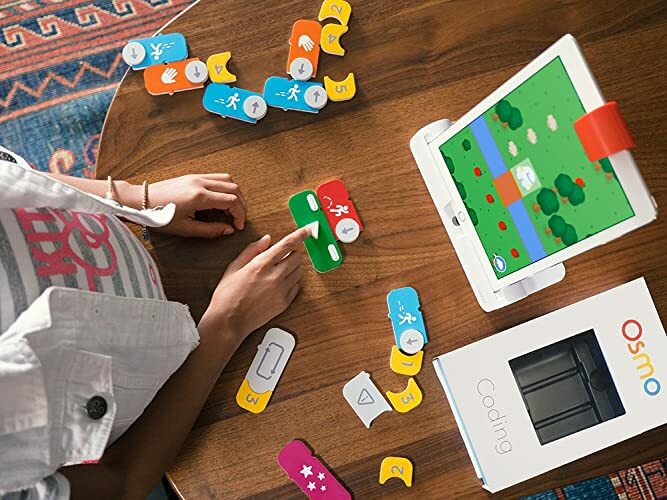 Well, we know why coding is such a big deal these days and Osmo Coding is probably one of the easiest ways to introduce the basics to kids. In this game, you have to help Awbie collect strawberries, open treasure chests, and accumulate resources to build your camp site. All you have to do is program the moves for Awbie – the more extensive the code, the more points you can earn. 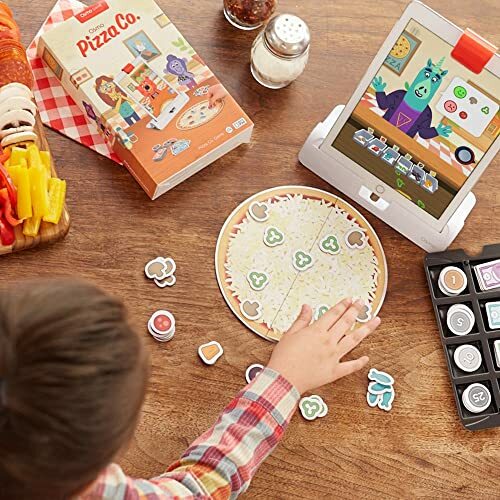 Osmo Pizza Co teaches children many important life skills by running their very own pizza shop. In addition to math skills (money, fractions, and arithmetic), they can also learn how to run and grow a business as they save their profits to invest in upgrading their shop. Children learn best through play. Combining quality pizza tray, money & topping tiles with fun characters sparks kids’ imagination and drive to learn. Put multiple kids in front of Osmo Pizza Co. and they naturally start working together, passing tiles back and forth to quickly create the best Pizza & change. Decipher how customers like their pizza from facial expressions they make as you lay down toppings. If wrong, they’ll be grumpy, if right they’ll be ecstatic! In this latest installment of games from Osmo, children can combine coding with music making. They will learn to build pattern, rhythm, and repetition into their music compositions from prehistoric cave beats, to interplanetary pings, to science-lab techno jams. We’ve had a lot of fun playing with Osmo and I’m eager to see what other games the Osmo team come up with.